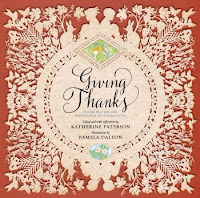 While others may be enjoying Thanksgiving leftovers or Black Friday shopping, I'm pleased to wrap up our Three Weeks of Thanks-Giving with a tribute to one of my favorite authors, Katherine Paterson. I didn't discover Katherine Paterson's work until I became interested in writing for young readers. 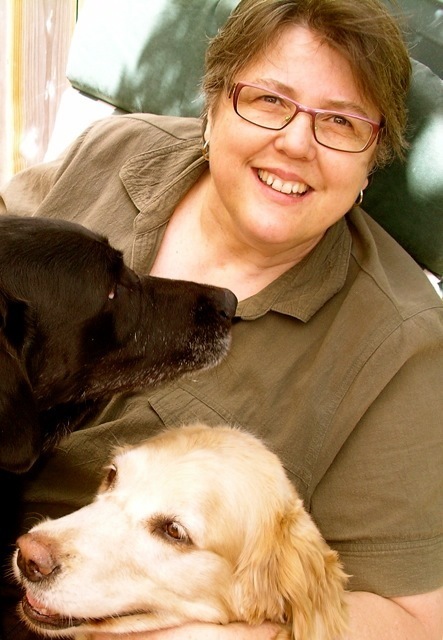 She's probably best known for her 1978-Newbery winning Bridge to Terabithia, a novel I first read in August, 1995. 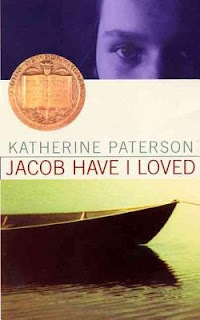 I found the book moving, but it was Paterson's 1981 Newbery winner, Jacob Have I Loved, which I read the following month, that really touched me as both a reader and an aspiring writer. I wrote this of Jacob in my book reading log: "When I finished it, I immediately thought, 'I’d love to write a book that moved other people the way Jacob moved me.'" But of all of Paterson's novels, The Great Gilly Hopkins has influenced me most as a writer. 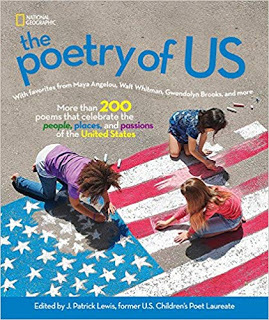 I first heard of it in 1996, at the Highlights Writers’ Workshop in Chautauqua, New York, when editor and author Patricia Lee Gauch discussed Gilly in a lecture on characterization. I read The Great Gilly Hopkins shortly after returning from the conference and was amazed at how Paterson was able to make me love a character who really wasn't that likeable. 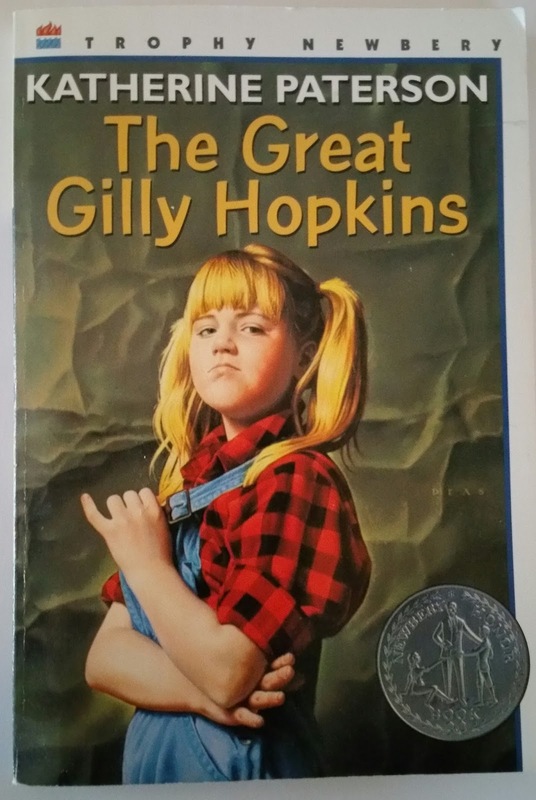 As I wrote in my reading log: "You empathize with Gilly, in spite of, or maybe because of, her brashness. You know she’s hurting and you want her to find happiness." The novel became one of my all-time favorites. 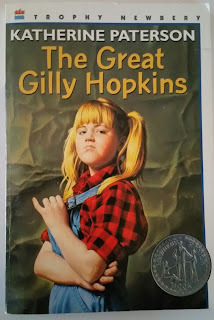 Years later, when I went to Vermont College to work on an MFA in Writing for Children and Young Adults, Gilly became my "mentor text." 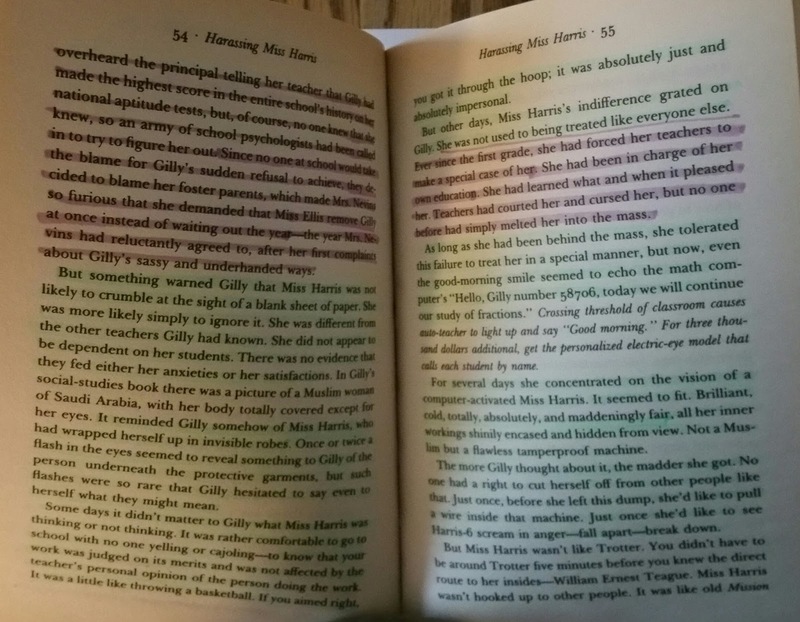 My first adviser in the program, Marion Dane Bauer, suggested I take a paperback copy of a book I admired and highlight "backstory" in one color and "sensory details" in another. When I tried this exercise on The Great Gilly Hopkins I was amazed to discover that Paterson incorporated backstory throughout the novel, even in the last chapters. Before that, I'd assumed you had to include every bit of pertinent character history in the first few chapters. My paperback copy of The Great Gilly Hopkins is getting rather ragged looking, so when Paterson offered a giveaway of the new edition on her Facebook page, I entered right away. The giveaway was to celebrate the release of a movie version of Gilly. Lucky me, I won the book and a bookmark highlighting the movie's cast! My NEW autographed copy and bookmark! 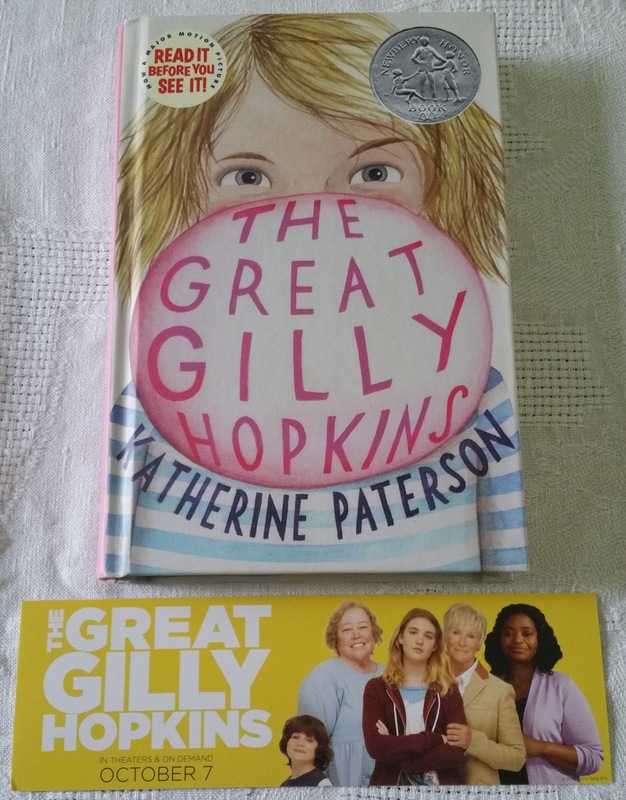 Our Not for Kids Only book club, sponsored by Anderson's Bookshop, recently re-read The Great Gilly Hopkins. I was surprised that I loved the novel as much as ever, and was happy to introduce it to several members. We'd planned a field trip to see the movie, but by then it was no longer playing. I look forward to watching it as soon as I'm able. I had the pleasure of hearing Katherine Paterson give a visiting lecture while I was at Vermont College. She struck me as a humble, hardworking writer. In her lecture, she encouraged us to “write out of who you are, not who you think the reader might be.” I still strive to follow that advice in my writing. 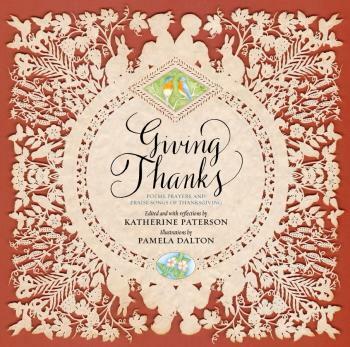 In researching Paterson's work for this post, I discovered her beautiful book Giving Thanks: Poems, Prayers, and Praise Songs of Thanksgiving, illustrated by Pamela Dalton. 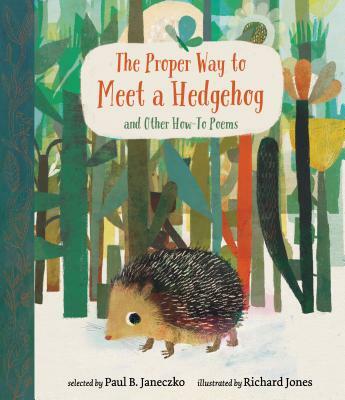 You can read a lovely review of it at Kid Lit Reviews. In honor of Poetry Friday, I'd like to share a Ralph Waldo Emerson poem from the book that is still appropriate on this day after Thanksgiving. And I'm grateful for Katherine Paterson and her wonderful contributions to literature for young people. 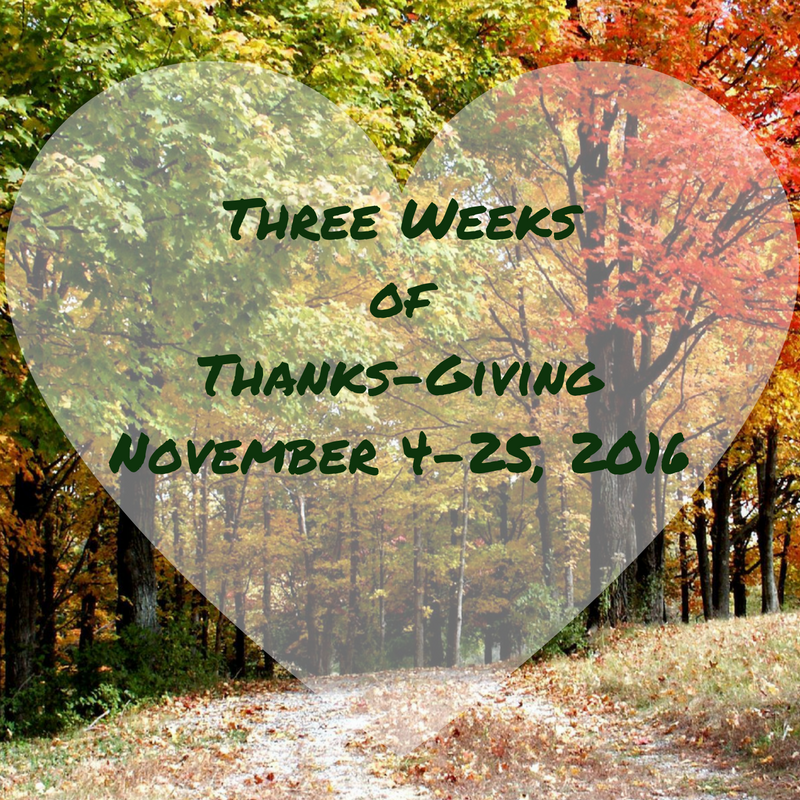 This week's Poetry Friday roundup is at Carol's Corner. Before you head over there, be sure to enter our current giveaway if you haven't already done so. 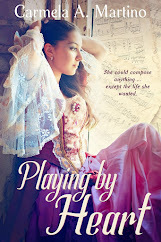 You could win a 2-book set of great historical fiction by Sandy Brehl. When it comes to thanking only one author during our November TeachingAuthors Thanks-Giving celebration, how could I not choose my very first TeachingAuthor, former Illinoisan Berniece Rabe? If her name is new to you, click here to read about some of her books, awards and accomplishments in this Chicago, Tribune 1993 article. There’s also this lovely write-up that sadly, has not been updated to include Berniece’s death 3 years ago. Her very own words as to why she writes for children speak volumes about who and what she was. "My books speak of survival, of hard times. . . . Often there is love and humor interwoven and my characters not only survive, they live with hope and confidence. I write such books for I believe all children have a time for suffering and a time for happiness. How we cope with the suffering determines the time left to happiness. Our struggles cause us to crumble or to grow, the choice is ours. 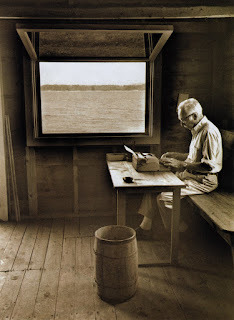 To make my readers aware that there is a choice is why I write." The first of anything is always unforgettable, often eye-opening and if we’re lucky, life-changing. Bernice deserves all three adjectives. She first came my way at the very start of my Writer’s Journey, courtesy of SCBW - so long ago, the “I” for Illustrators wasn’t even an idea. Think: no Internet (! ), few Writing for Children classes and a handful of books on the craft of Writing for Children. J.K. Rowling was years away from becoming the Children’s Book Writers VIP Influencer. The inexpensive SCBW membership offered me (1) validation, thanks to my lovely blue membership card that named me a Children’s Book Writer, (2) an informative newsletter, (3) an annual conference (of sorts) and (4) best all, The Manuscript Exchange, which is how I first met Berniece. 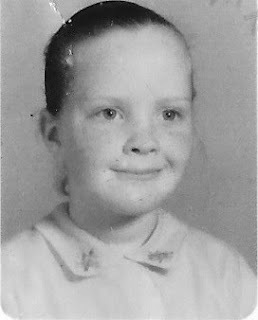 By that time she was already an award-winning published author of her first semi-autobiographical middle grade novel RASS and the 1978 Golden Kite Award-winning middle grade novel THE GIRL WHO HAD NO NAME. I counted several sleepless nights awaiting the arrival of my SASE that held Berniece Rabe’s critical response to my first picture book, CATCH A PATCH OF FOG. I could only pinch myself when SHE asked ME to respond in kind to one of her manuscripts! I still shake my head at her assessment: Berniece Rabe, a real honest-to-goodness author, thought I was a children’s book writer! She qualified the affirmation, of course, while teaching me volumes about the truths of story-telling and the picture book format. I had years to go before I’d be published, she shared. She was kind enough not to tell me why. She kept to herself what she saw in my stories but I as yet couldn’t: I was unconnected to my characters, still unwilling to feel as my characters felt, writing well but above their plot lines. As luck would have it, over the next 15 years, I continued to learn from my first TeachingAuthor - at Children’s Reading Round Table conferences in Chicago, at the Off Campus Writers Workshop in Winnetka, Illinois. Indeed, anywhere she was speaking and teaching, there I was. In the beginning, her words would play through my mind as I sat at my kitchen table, typing away until my toddler son’s spilled juice on the floor pulled me away, then later at my desk, when I’d write in between Life’s comings and goings – i.e. mothering, wife-ing, freelance writing, Room Mother responsibilities, baseball playoffs, carpool, Hebrew School and familial obligations. I was a Writer! It was my duty and my right to honor that calling! Berniece Rabe said so! Simply put, Berniece gave me confidence and courage. I remain grateful that in the late 90’s, I was able to share with her how she’d kept me growin’ and goin’ until I proved correct her long-ago assessment of my publishing time-line. I could only smile when 3 weeks ago I handed her picture book THE BALANCING GIRL (Dutton, 1981), based on her granddaughter’s true experiences, to a Newberry Library Workshop student to use as a mentor text. Berniece Rabe lives on! Thank you, Berniece, my first-ever forever TeachingAuthor, for your keen eye, your outstretched hand, your steely spine and your unyielding Spirit. YOU kept ME keepin’ on! I was a frustrated three-year-old who wanted to read. The world was full of words and I had to know what they meant. I taught myself to by asking the closest adult (usually my mother)t o read me the words on the TV screen, the OTC remedy bottles on the toilet tank, the signs on the Pennsylvania Turnpike. Equipped with a vocabulary that included restaurant, constipation, and the most beautiful word in the English language, chocolate...I became a compulsive reader. 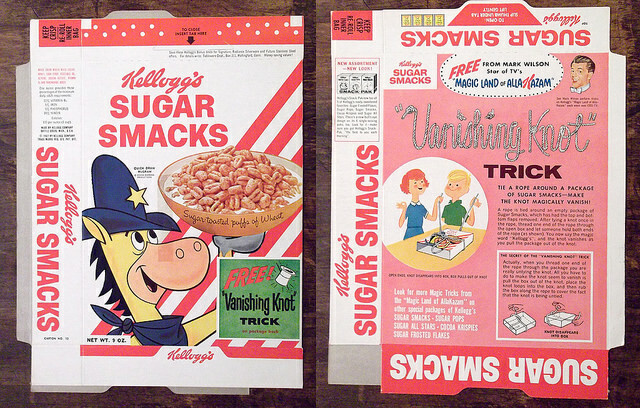 A little breakfast literature with Quick Draw McGraw. An indiscriminate reader, you might say. I loved reading more than anything, but I hadn't yet found magic in words. I read books the way I ate Fritos...one after another until someone told me to stop. Lots of Bobbsey Twins and Nancy Drews, an occasional Hardy Boys, but beyond them, I cannot recall a single title that made an impression on me. Each Christmas, my dad scoured his favorite second-hand bookstore for a good, hardcover book for me. (Hardcover books! More precious than gold!) 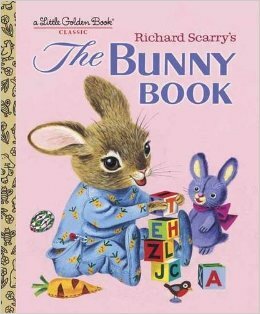 The year I was eight, Dad gave me The Book. The one that showed me words could be woven not only into stories, but could send you to an alternate universe. Words burnished into characters who made you laugh, cry or ponder months after you'd read the last chapter. The book was E.B. 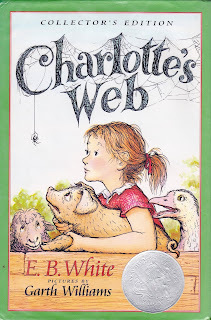 White's Charlotte's Web. It was not love at first sight. Garth Williams' cover art made it clear this was a book about animals. After reading Old Yeller, I figured out that whatever the book, if there was an animal character, it would die. I couldn't stand dying dogs and deer caught in forest fires. 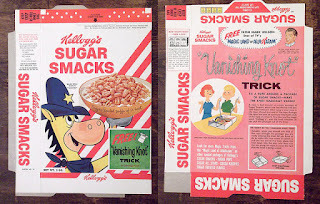 My dad's childhood favorite, Toby Tyler, left me with a lifelong dislike of both chimpanzees and circuses. Don't even get me started on Black Beauty. I opened the book and read, "'Where is Papa going with that ax?' said Fern to her mother as they were setting the table for breakfast." Who could put down a book with a first sentence like that? Before I knew it, Fern had saved a runt pig, named him Wilbur and eventually took him to his new home at her Uncle Homer Zuckerman's farm. Poor Wilbur was lonely without Fern. I knew how that felt. I was always the new kid at school. Would Wilbur make new friends? I was well into the story before I realized Wilbur talked, and so did his barn mates--sheep, geese, and a rat named Templeton. By the time I met Charlotte the spider, I was totally hooked. I loved snarky Templeton, the rat. He was sneaky, underhanded, manipulative and utterly hilarious. The line "'What do you think I am, anyway, a rat-of-all-work?'" still makes me giggle. There was the wise and gentle Charlotte, who was a spider, for crying out loud. I loathed spiders but Charlotte was my first lesson in "things are not always what they appear to be." I adored the innocent and gullible Wilbur. Plus a whole Greek chorus of lambs, horses and geese. For the first time, I noticed the way the author used language to create scenes as vivid as a movie. He lovingly listed just what pig slops are:"Middlings, warm water, apple parings, meat gravy, carrot scrapings, meat scraps, stale hominy and the wrapper off a package of cheese." To show the enormity of the crowds that came to see Charlotte's web, White catalogued every kind of vehicle you might find in rural 1950's New England. "...Fords and Chevvies and Buick roadsters and GMC pickups and Plymouths and Studebakers and Packards and DeSotos with gyromatic transmissions and Oldsmobiles with rocket engines and Jeep station wagons and Pontiacs." Up until now, description, those long, long paragraphs, unbroken by dialog, were something I skipped. Not now. I might miss the details of Templeton's night of culinary debauchery at the State Fair. But Mr. E.B. White was not finished with me. 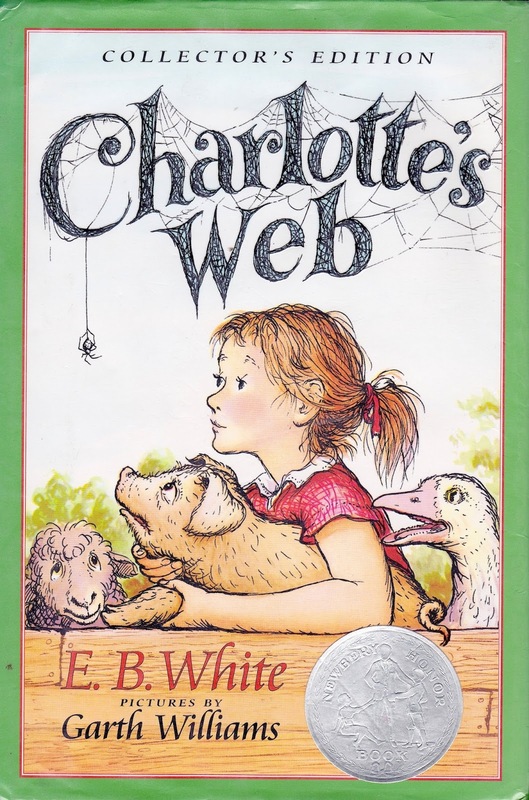 One grisly January day, I sat in an overheated, overcrowded allergist's office, waiting for my weekly allergy shots, Charlotte's Web in hand. 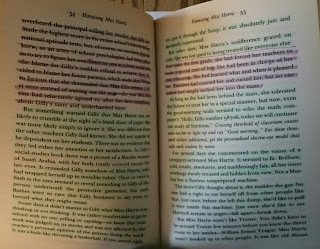 Unlike my usual habit of tearing through books in a couple of hours, I had taken my time with Charlotte, savoring every character, description and turn of plot. I was at the most exciting part, where Wilbur, Charlotte and Templeton go to the State Fair. The sniveling, sneezing kids, stuffed into smelly nylon parkas, receded. I smelled the gamey sawdust of the Fair barns, heard the screams from the Midway rides, and best of all, Wilbur winning the blue ribbon. Could this get any better? No. Because in the next pages, Charlotte tells Wilbur and Templeton the plans for her death. What? I re-read the previous chapter to see if I had skipped a page, a paragraph, a sentence that would explain that Charlotte was kidding, or that her death was far in the future. I had forgotten the lessons of Old Yeller and Toby Tyler. "Next day, as the Ferris wheel was being taken apart and the race horses were being loaded into vans...Charlotte died. The sheds and buildings were empty and forlorn. The infields was littered with bottles and trash. Nobody, of the hundreds of people that had visited the Fair, knew that a grey spider had played the most important part of all. No one was with her when she died. Mr. E.B. White had committed the ultimate sin. He made me do something no other book had done before. Not Old Yeller, not Toby Tyler. 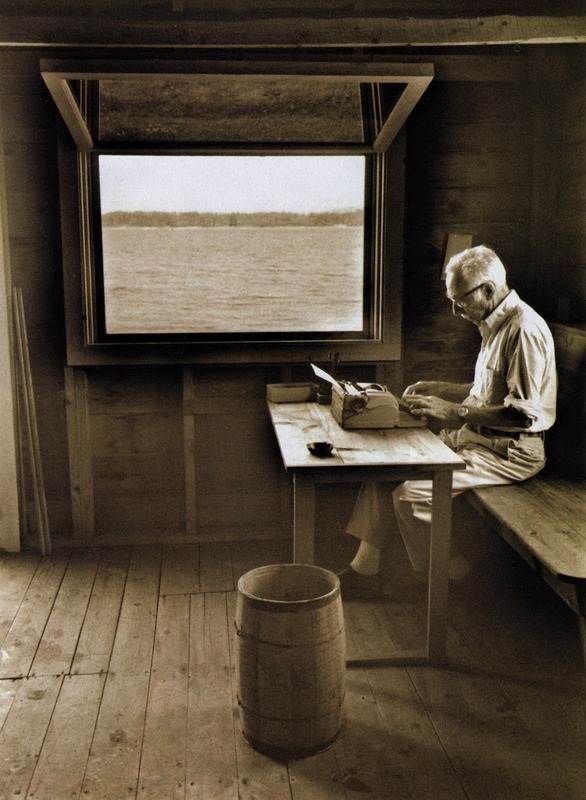 I had discovered that the best of writers, plump, prune and position each word just so. The result?, An imaginary world, more immediate and alive than "real life." That's the kind of writer I wanted to be. Update: Jane H is the winner of our latest Book Giveaway, Toby by Hazel Mitchell. Don't forget to enter our latest giveaway, our latest book giveaway, for Bjorn's Gift by Sandy Brehl. 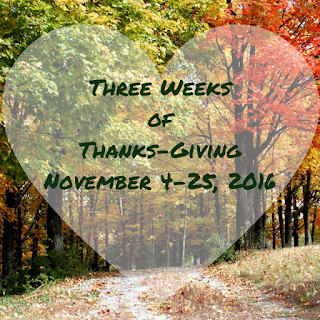 Deadline is Nov 30, so get that entry in before you are distracted by Turkey Day. Wednesday Writing Workout: Keeping it Real plus a Two-Book Giveaway! 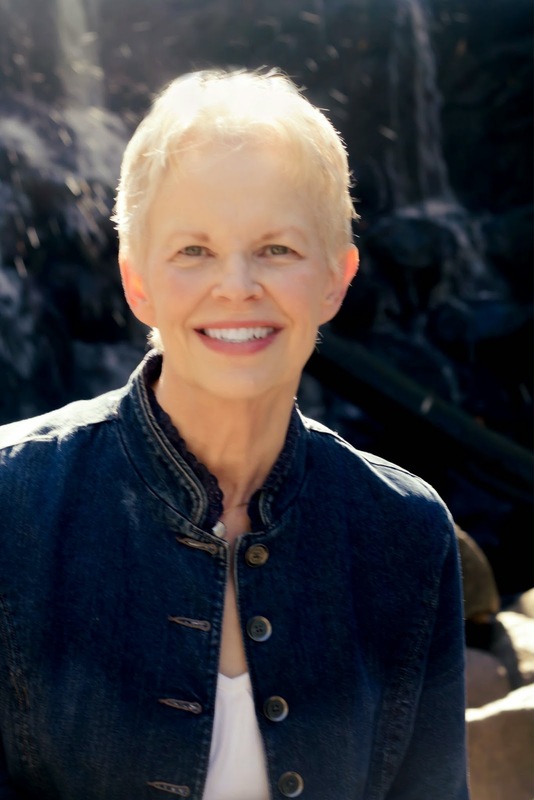 I’m happy to bring you this Guest Teaching Author post by Sandy Brehl, author of Bjorn’s Gift, a historical novel of Norway’s occupation years. Sandy visited us in 2014 when her first novel, Odin’s Promise, was published. Read that post for more about Sandy's background, her research process, and using historical fiction in classrooms. Below, you can enter to win autographed copies of both novels. It’s a privilege to return to the Teaching Authors blog with a guest post, especially for a Wednesday Writing Workout about creating characters. 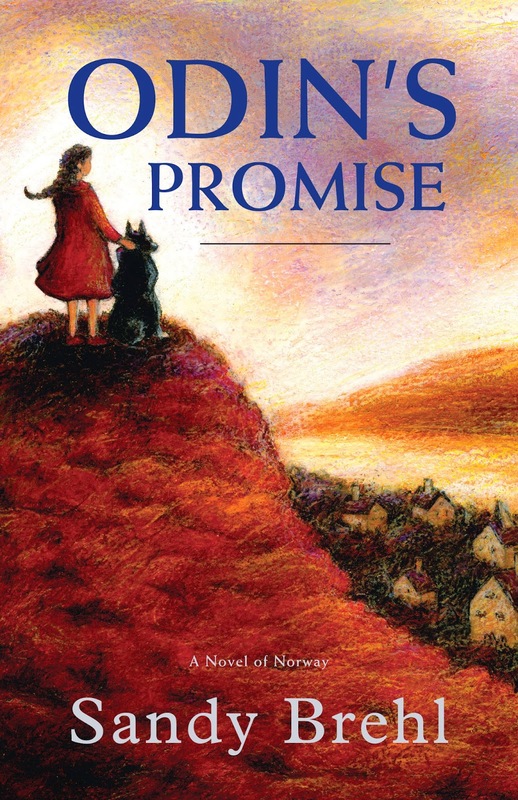 My recently released middle grade historical novel, Bjorn’s Gift, is the second book in a trilogy that emerged from my debut novel, Odin’s Promise, in 2014. The initial book was written as a stand-alone historical novel based on the first year of the German occupation of Norway. I had spent years researching, writing, and revising, never quite finding a main character who was as eager to tell the story as I was. I worked on it through years of sporadic efforts tucked in between teaching and writing other things. Then, in a scholarly resource, I found and read journal entries written by young Norwegians. Mari emerged from those excerpts, stepping into my long years of false starts and reshaping them to reveal her point of view and life struggles. She added elements and eliminated others, confidently guiding my words on the page. Within months of finding Mari’s spirit within those journal samples, I completed a full draft. Less than a year later, it had been revised, submitted, and was contracted for release. Once it was published, readers consistently asked, “When is the sequel coming out?” I worried that the ending hadn’t been satisfying. The gratifying response was that the ending made perfect sense, but the occupation wasn’t over and readers felt they HAD to know what would happen to Mari and her family during the remaining war years. They cared about Mari as much as I did, as if she were “real.” And they wanted to learn more about Norway’s fate and hers. Their questions were both specific and global. Can you imagine how wonderful that felt? A character that was born of my research, imagination, and storytelling had “come to life” on the page for my readers. But it was also terrifying! I had never considered a sequel, and I didn’t know how to write one. It had taken me decades to write about just one year of the occupation, and there were four more years before Hitler was defeated. At that rate I wouldn’t live long enough to answer their questions. I knew how to do research, though, and to tell a story. And I had Mari to guide me along the way. In the process she and I both had some growing up to do. It was a struggle, and a steep learning curve, but Bjorn’s Gift is on the racks, and the final book, Mari’s Hope, will release in spring, 2017. Do these research discoveries matter? I reviewed the stacks of facts and personal stories I had collected. Each was examined though Mari’s eyes and sorted into MUST HAVE, MAYBE, or DUMP. I retained no veto power over her decisions, although I rescued some personal favorites from the DUMP. Those tidbits may find their way into website resources, other writings, or program presentations. Is each scene and situation necessary? Scenes and subplots were held up for Mari’s scrutiny. She insisted that anyone who reads only this book of the three should feel as engaged and positive about it as they did about the first. Once again, her categories were MUST HAVE, MAYBE, or DUMP. Any MAYBE scenes that weren’t improved by moving or refocusing on Mari’s story made their way to the DUMP. Some of Mari’s rejects had been favorites of mine, but I let her have the last word, although I snuck behind Mari’s back, collecting her discards for repurposing in the future. Is every character pulling his/her load? The toughest part of this analysis was that Mari and I cared differently for various secondary characters, and for different reasons. Salvaging in this category involved giving the survivors more complex personalities and roles, incorporating elements from the rejected players. Here, too, voice was a crucial consideration. In at least one case I won a reprieve by going back to rewrite a character’s point of view and voice, removing the adult-ish tone of a young character and proving that the part still mattered to the story. Mari was convinced, and the character stayed. The workout I’m suggesting isn’t about writing a sequel. Despite reading many series with a writer’s eye and now writing a trilogy, I’m a novice at it. There are better teachers of sequel-writing than I can be. What I did write successfully was characters who are REAL. I hope you can see from the process I used that Mari was both real and reliable in guiding my writing and revision. The process itself made her even more real to me, allowing me to debate various decisions and dig more deeply into what mattered most to her. Having Mari as a fully developed character going into this process was a huge advantage. Nevertheless, there are things writers can do to achieve that same level of confidence in your characters, to lift them from being two-dimensional “character-actors” to a level worthy of decision-makers and writing partners. Identify several questions related to the time and circumstances of your character’s story, whether the text is for a picture book, a short story, or a novel. It may be a question or proposition that’s not even a part of your story, just a topic that your main character would know and care about. Role play a debate: Take the part of your character and invite writing partners or others to argue the opposite position. Maintain your character’s voice and point of view throughout the debate, making notes about what arguments, logic (or lack of it) comes through, what values are espoused, what temperament your character displays, what mannerisms or language patterns are used. Assign your character to make a pro-con list regarding the proposition or decision: Again, keeping yourself in the mindset and voice of the character, list and support both sides of the case as fully as possible, then arrive at a conclusion. Write a summary of the conclusion in the character's voice. Offer your character a red pencil: Allow your character to read through your draft and redline any/all parts that distract, diminish, or otherwise impede the progress of the story the character needs to tell. Require explanations for the choices and be ready to “listen” openly to what is said. It’s likely to take several tries to remove yourself from the process and become a spectator/conduit to the characters’ thoughts, feelings, and reactions. You’ll catch yourself (repeatedly) inserting your own arguments, your own values, and drawing on your own experiences. That will force you to realize that you’re still writing “your” story, not the one your character is trying to tell. Back off, sit quietly. Allow time and space for the characters to breathe themselves into being. Then, and only then, will you trust them to help you find the heart of your REAL story. I applied this process to historic characters and stories. For additional exercises on creating REAL contemporary characters, I strongly recommend Kate Messner’s Real Revision: Authors' Strategies to Share with Student Writers (Stenhouse Publishers, 2011), in particular, her Chapter 9, "Are the People Real?" 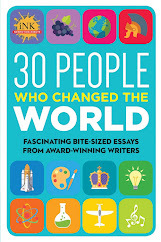 It’s a treasury of practical and effective craft suggestions, but the entire book is a must-have for writers, especially those of us who teach. One last tip: if you find yourself struggling to hear your own character’s voice and views in this workout, try it with something you’ve read and loved. It will be particularly helpful if it is something you consider comparable to your own work. If the author has done his/her work well, you should be able to crawl into the skin of that character and, in the process, recognize how complex and real even picture book characters can be to readers. The giveaway ends November 30 and is open to U.S. residents only. If you've never entered a Rafflecopter giveaway, here's info on how to enter a Rafflecopter giveaway and the difference between signing in with Facebook vs. with an email address. Wasn’t April’s celebration of Molly Ivins just glorious and inspirational? Now more than ever, our stories are important. We are all stories in the end, Doctor Who reminds us. We just need to make it a good one. (Disclaimer: I was a geek before geek was cool). Stories reveal our character, and give meaning to our lives. We are the product of all the stories we have ever heard and lived. Every dynamic character we've met along the way became intrinsic to our story. Every plot a revelation to our journey. Just make sure it’s a good story. Stories show us the way to be more than what we were. Stories fill us with impossible imaginations, change and hope. But don’t we know, now more than ever, not every story gets told. This is true of historical stories, too. History is more than a lineal progression of events. It’s the people and their dreams and their choices. There is power in those stories. How they are told, and how many are told, even who tells them, all can warp the narrative. Such power ultimately defines the character. And in a timey wimey, wibbly wobbly way, it influences the event itself. It can reduce that character to a mere caricature. It can render the event to an insignificant line in a textbook. But our history is full of amazing stories, stories that should not be forgotten. 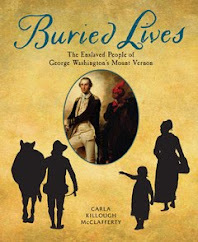 Historical fiction helps young readers develop a feeling for a living past, and reinforce the continuity of life. It can enlarge their understanding of the human experience. It can teach them empathy for those not of their community. 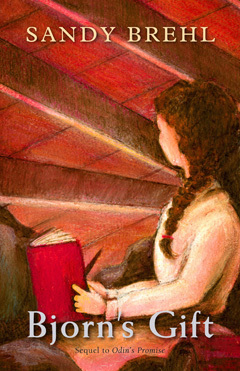 Historical fiction, at its best, can help us make sense of the present. This week of Thanks-Giving, I celebrate the work of Monica Kulling, whose career has spanned over two decades. Focusing on stories for young readers, she’s produced a treasure trove of good stories of people who were considered the outsider. The Immigrant. The Freed Slave. The Woman. The Artist. And her poetic narrative reveals and expands their experience. 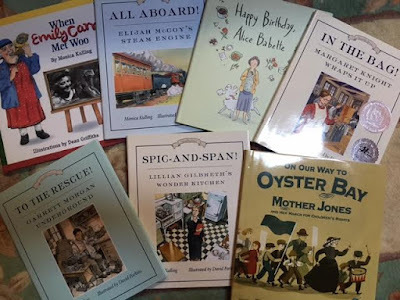 Her characters – Margaret Knight, Lillian Gilbreth, Alice Babette, Mother Jones, Garrett Morgan, Elijah McCoy, to name a few—are the unconventional heroes of their time. Such characters show us how we can be heroes, too, even when our voices are small, and frightened, and unheard. Thank you to the storytellers for reminding us, we are better and braver and smarter than we think we are. Thank you for reminding us to live our story. And to just make sure it’s a good one. Speaking of good stories, this is the last day you can enter our giveaway. For the love of Toby, Enter to win a copy of TOBY by Hazel Mitchell!